During a radio show this morning, Mayor Chris Beutler acknowledged that he and his cabinet and aides still get a very generous retirement benefit but said “eventually” those will be adjusted. Eventually? 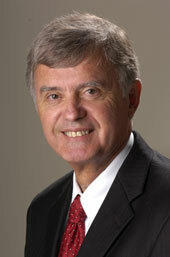 Beutler first went public with his plan to reduce city employees’ retirement benefits in July 2009. Last year he got all but one city union to agree to reduce the match for new hires (from a 2-to-1 match to a 1.3-to-1 match). All the while, he and his cabinet have continued to take an even more generous deal. According to data from the city, Beutler and his aides and department heads get about 12 percent of their salary in retirement compensation annually. And I’ve recently learned they get the city contribution whether they contribute a match or not. So that’s a better deal than any city employee gets. They get about 12 percent of their salary (most of the directors’ have six-figure salaries) and don’t have to match it to get it. But now that Winterized has publicized the fact that Beutler never reduced his own retirement match, even while lobbying city employees to do so, he’s acting as though he’d always intended to change it. So we are to believe that even though he has had since July 2009 to adjust the benefit for himself and his cabinet and aides, he just hasn’t gotten around to it? Wouldn’t a better approach have been to announce that he wanted to reduce retirement matches for city employees, and he would be the one to go first? The radio host asked Beutler whether he couldn’t have just unilaterally made that change, and Beutler said he didn’t know. Don’t believe me? Hear it here. Mayor B needs to get on top of this now, no later than next week, not a vague and distant ” eventually “. Mayor take a 5% pay cut, eliminates two of the extravagant eight or nine Mayoral positions (like with four classified public safety officer position cuts) and ALL Mayoral staff retirement contributions are eliminated now / next week, temporarily for one year only , pending return growth in city sales tax receipts levels . Retain health benefit contribution for remaining staff. Please: If the City Budget Deficits are genuine and more to come then Get Real / Act Real – starting at the Top, first. Here is what the real kicker is in this deal, that Deena doesn’t really go into: The mayor makes ~$70,000/yr., while most of his cabinet members make $100K +. The mayor gets the rawest deal of all, yet people were screaming bloody murder when it was brought-up that perhaps we should pay the mayor comparibly to other similiar cities (and I’m not referring to Minn/St. Paul for all of you CIR fans, either). Two million bucks should not be a problem to make up. Every time you turn around, the mayor is saving on the arena, whether it be on bonds, cheap contracts or the diesel spill that is not that bad. Maybe he can get a second morgage on the Experion building- after all, it’s a GREAT DEAL!! I think someone said it was so nice, you could eat off the floor!!! This is absurd. Chris Beutler is one of the most talented men in the state from a managerial standpoint. If he were working in the private industry, either with his own company or for a corporation, he’d be making many, many times more than his $67K salary. Hell, I make that that much and I’m a screwup compared to Chris. The idea that he is somehow profiteering from the city is a joke. Notice how the author conveniently leaves out how much the Mayor’s base salary is because it doesn’t fit her narrative. Deena, how about you do an expose on how much rent Jon Camp collects from the city government each month? The information is all available. Maybe they need term limits 20 yr. 30yr. 40+ yrs. What’s that, a million bucks when they finally leave? I think directors & managers should go after 5 or 10 years. All would have implemented their best by then whether it be good or not. You could get new and fresher ideas at a cheaper price. I feel that some are probably in job stagnation and ineffective. A smart person-politician would have cut theirs first, what a poor excuse. He should be ashamed!